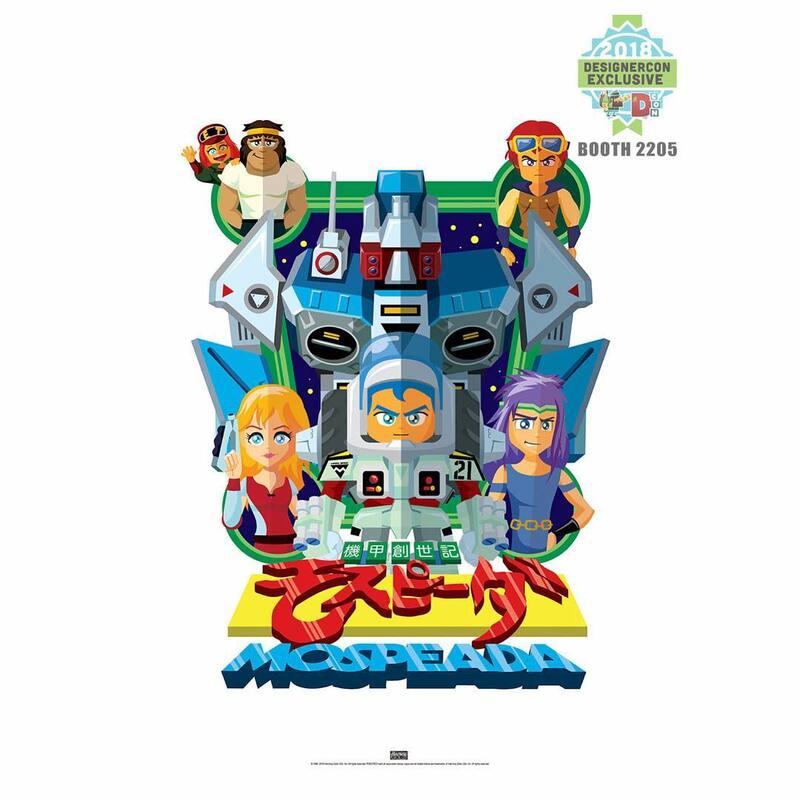 Check out this killer, officially licensed Designer Con 2018 Exclusive Mospeada Print by Hyperactive Monkey and Toynami! As a big fan of Robotech, it’s cool to see Jerome Lu’s (of Hyperactive Monkey) take on one of the Japanese anime series that Robotech is based on. Mospeada by Hyperactive Monkey is a 13”x19” print on 14 point matte card stock. Collectors can purchase it at the Toynami DCon booth #2205 this weekend for just $20.